Leather has brisk pacing, and each chapter is only as long as it needs to be. Jack Nightingale is not atypical of many other troubled and devil-may-care PIs in the genre, but he is not without charm, and an easy character to follow in his crime-solving ventures. 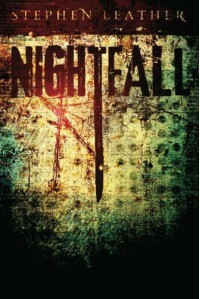 Nightfall is the first in a series of books featuring Jack Nightingale, so though some key questions are answered, others remain to unfold in other books in the series. Nightfall is a quick and enjoyable read for those who like their mystery with a side of the supernatural.